Japan is planning a moon landing for 2029 and wants its astronauts to explore the lunar surface in a vehicle built by Japanese automaker Toyota. 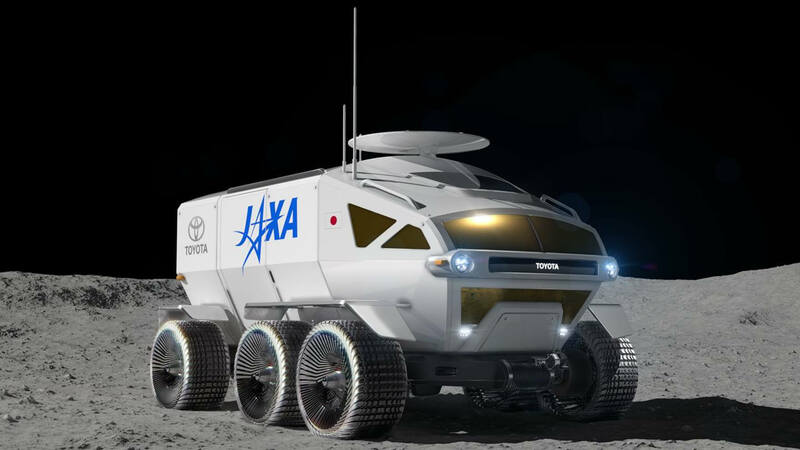 The Japan Aerospace Exploration Agency (JAXA) and Toyota announced Tuesday that it will collaborate on international space exploration, specifically on developing a manned, pressurized rover that uses Toyota’s fuel cell vehicle (FCV) technologies. JAXA, which earlier this month landed its Hayabusa2 probe on the asteroid Ryugu, is hoping the collaboration with Toyota will “give rise to intellectual properties” needed for international space exploration. An FCV is a type of electric vehicle that, instead of using a battery, uses a fuel cell of oxygen and compressed hydrogen, which react with each other to generate electricity. The zero-emissions technology is already used on Toyota’s Mirai vehicle. “Fuel cells, which use clean power-generation methods, emit only water, and, because of their high energy density, they can provide a lot of energy, making them especially ideal for the project being discussed with JAXA,” said Shigeki Terashi, Executive Vice President at Toyota. He also mentioned that Toyota’s automated driving technologies were part of the project. Although the amount of fuel that could be taken to the moon would be limited, said JAXA and Toyota, the pressurized rover would have a total lunar-surface cruising range of more than 10,000 km. However, Toyota’s ‘space mobility’ concept for the pressurized rover being studied by JAXA and Toyota is pretty small. It envisions a 6 meter by 5.3-meter vehicle standing 3.8 meters tall. That’s enough room for two people, say JAXA and Toyota, or four in an emergency. Toyota and JAXA also revealed that they have been jointly studying the concept of a manned, pressurized rover since May 2018. The moon presents some special challenges for any vehicle. Gravity is one-sixth of Earth’s, and the lunar surface is pocked by craters, cliffs, and hills. “It is exposed to radiation and temperature conditions that are much harsher than those on Earth, as well as an ultra-high vacuum environment,” said Wakata. “For a wide-ranging human exploration of the moon, a pressurized rover that can travel more than 10,000 km in such environments is a necessity.” Wakata also stressed the need for a ‘Team Japan’ approach to space exploration. That’s a message that appears to be finding favor. Japan Airlines-backed startup ispace last month announced that its HAKUTO-R mission will orbit the moon in 2020 ahead of a mission to land on the surface in 2021. An finalist in the ill-fated Google Lunar XPRIZE, ispace plans to map, and eventually recover, water ice on the moon and learn how to use it as a resource. If it can separate lunar water into hydrogen and oxygen, it could provide fuel for Toyota’s moon buggy, as well as for a self-sufficient moonbase, and even rockets.